Here’s what happened in last night’s session of Hoard of the Dragon Queen. Each PC gets 600 xp. The party return to Greenest where Ug leads the way in returning plunder stolen by the Cult to its rightful owners. Turin performs a gig at the tavern which goes down well with the locals. The PCs leave for Elturel on horses provided by Leosin. Beautiful singing comes from a tree-covered hill close to the road, prompting the PCs to investigate. As they approach, the party come under attack by a clamour of harpies whose luring songs charm Crake, Gwastdyn and Ug. Shaking off the charm effects, the PCs, with Gwastdyn as a “barkskin bear”, slay four of the creatures, then rescue Vert, a human male who has been manacled to a standing stone at the top of the hill. Climbing up into the harpy nests in the trees, the PCs find a few gems – Ug returns Vert's turquoises to him until Rosie persuades the hapless fellow to hand one over as a reward for his rescue. The bold warlock leads the way down into the tunnels beneath the hill – a fifth harpy is soon dispatched and a pool of water with healing properties is discovered. After a rest, the party continue on through Elturgard towards the city of Elturel. The adventurers arrive in Elturel, crossing the River Chionthar on the ferry and heading for A Pair of Black Antlers where they meet Ontharr Frume. The boisterous paladin challenges them to a yard of ale drinking contest, then arm wrestles Ug. Rosie takes bets from all comers, and Turin performs the famous song, The Knights of Dragon Down. When the others have retired for the night, Rosie tries to find out if there is a local Zhentarim presence but is unsuccessful. 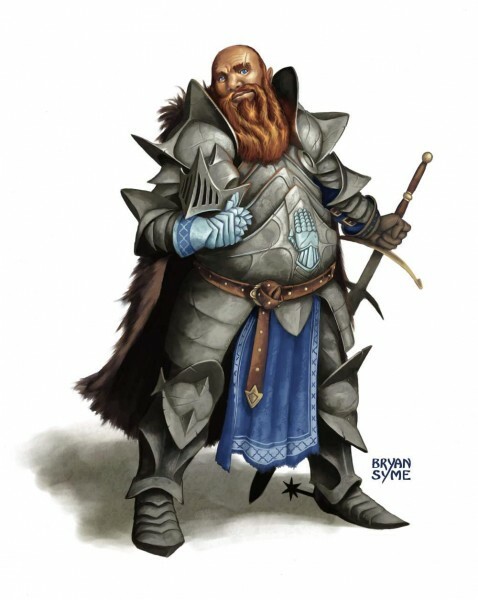 Ontharr Frume and Leosin Erlanthar explain they are members of the Order of the Gauntlet and the Harpers respectively, and are working with a third group, the Emerald Enclave, to oppose the Cult of the Dragon. They brief the PCs on their mission – to find out what the cult are up to by following their treasure wagons north by joining the caravan in which it hides. The party should travel by boat to Baldur’s Gate in the morning, and make contact with Ackyn Selebon in Blackgate; it is likely the cult wagons will not arrive for around ten days. Ontharr Frume is impressed with Ug and invites the paladin to join the Order of the Gauntlet – the half-orc says yes. Turin wants to shopping so the party visit The Able Alchemist. Here, Algar Braden sells them some potions of healing and energy resistance before a coughing fit causes him to drop a flask of alchemist’s fire and start a fire! Some half-assed attempts to smother the blaze with cloaks are made with little success but Gwastdyn is at least able to fetch a bucket of water to throw over the flames. As various potions and powders catch fire blinding the PCs, they beat a retreat, dragging Algar with them. Rosie goes back to rescue the alchemist’s hedgehog familiar just before the whole shop explodes. As is her wont, she bamboozles the alchemist into a reward for saving little Tanglefoot. The PCs head downriver to Baldur’s Gate. Rosie first tries to sack the pilot but the other PCs persuade her that it might be a good idea to have someone who knows the waters. A pair of ogres on an ancient bridge over the river demand a toll from the party to let them pass. The PCs aren’t willing to pay and make for the shore as the ogres pelt the boat with rocks and crocodiles try to capsize the vessel. Ug, Turin and Gwastdyn battle the ogres on the bridge while Crake and Rosie deal with the crocs – both get grabbed in reptilian jaws. When Rosie escapes, her eldritch blast misfires, striking the helpless Crake instead. Happily, the ogres have some treasure, including a pair of goggles of night. With the boat repaired, the party arrive in Baldur’s Gate.